Can you please tell me how low and high temperature, humidity, pressure, sun and other atmosphere factors affect balloons inflated with air and balloons inflated with helium? 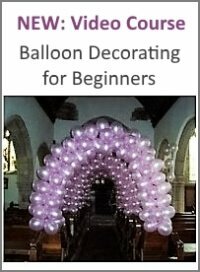 The following points apply to both air filled and helium filled balloons. In general, helium filled balloons are affected more, because helium is very susceptible to changes in air pressure or temperature. In an environment with high temperature, the balloon will expand. In an environment with low temperature, it will shrink. The lower the pressure in the environment, the more the balloon will expand. Once the difference becomes too big, the balloon will pop. Studies for helium filled latex balloons have shown that this happens at an altitude of about 28,000 to 30,000 feet. 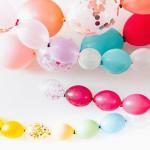 Latex balloons absorb moisture. The moisture changes the structure of the rubber making it more 'rubbery' and stretchable. Short term, this means that you can blow up a balloon to a bigger size in a humid environment than in a dry one. Over the long term however, too much moisture degrades the rubber, making the balloons unusable. Sun, together with wind and heat, will biodegrade the latex. That's why latex balloons won't last long if you use them outdoors. The first sign of the degradation is that the balloons oxidize, i.e. they lose their shine and start looking dull, as if they had a thin white layer over their initial color. 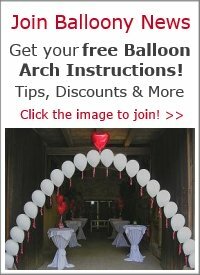 The BalloonHQ has a whole section about how outdoor conditions affect balloons. First of all, THANK you for your time and answer. 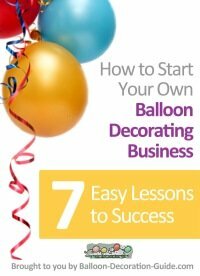 I think this question and this answer are very important for every balloon decorator and I hope will help lots of people like help me.